FOR A QUOTE CONTACT US VIA THE FORM BELOW OR DIRECTLY ON 01892 614 444. PLEASE GIVE US THE SIZE OF YOUR RUG OR RUGS SO WE WILL BE ABLE TO QUOTE YOU CORRECTLY. Your rug is made from natural fibres and dyes. By their very nature, these materials are both durable and long lasting. However everyday use can take its toll on your rug. For this reason, we advise specialist cleaning every two years. In spite of the routine vacuuming that will take place in your home once or twice a week, all rugs suffer from an accumulation of dust particles deep within the pile. These particles have an abrasive effect on the fibres, therefore the warp and weft will be weakened and can break. For this reason, we advise specialist cleaning every two years. A specialist cleaner can also advise on any maintenance required. We have a thorough and methodical process to cleaning your rug or carpet. 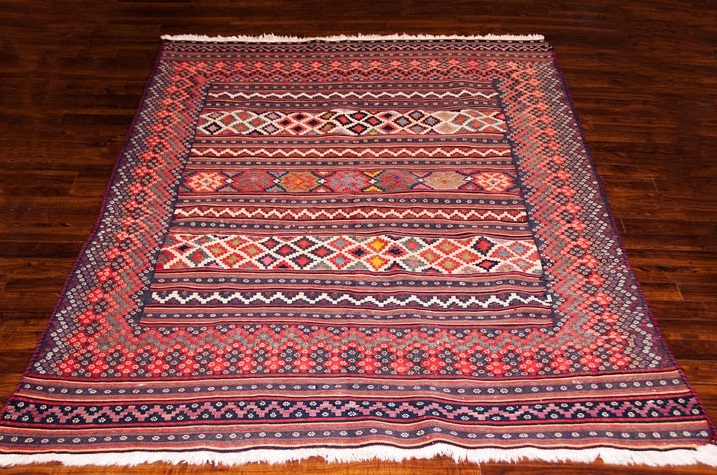 Using both traditional and modern techniques, our method is the number one way to clean all manner of rugs. 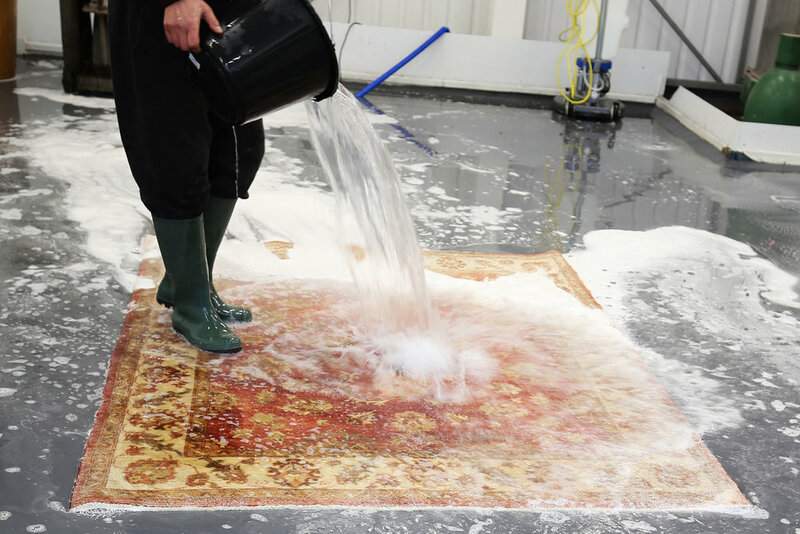 Whether you have a Persian rug, Chinese, Indian, wool or silk rug our process will give your piece the best wash possible and will rejuvenate your rug’s looks. Our process of specialist cleaning involves the following steps. Drying in our drying room, while the carpet is suspended in our custom built, climate-controlled dehumidifying room. We allow air to circulate fully through your rug and draw all moisture away.